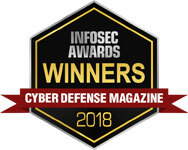 "Drawing from the survey’s conclusions, PwC notes that it is critical for companies to focus on rapid detection of security intrusions and to have an effective, timely response"
File Integrity Monitoring powered breach detection capabilities are becoming more relevant as hacking vectors become more 'defense aware'. Zero-day malware is invisible to AV and hijacked or brute forced credentials to provide system access directly. Target's breach is understood to have used access afforded to their HVAC 3rd Party. Read the full Financial Mirror article here.